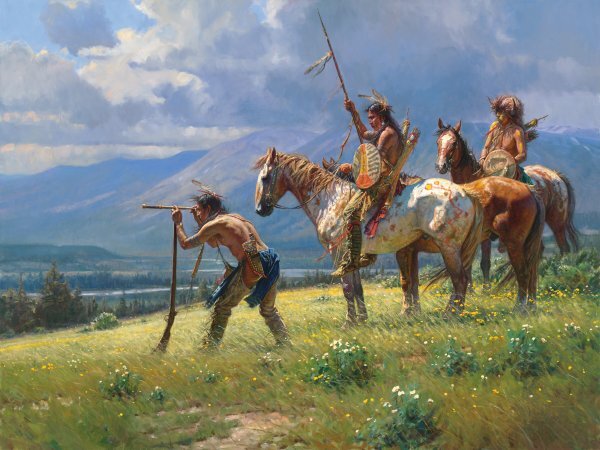 As the early settlers pushed farther West, the Native American culture was affected in many ways. Through trade and sometimes from battle victories, the Indians acquired objects and knowledge that changed their daily lives. This brave rests his telescope on a long rifle to scan the vast valley before him. With a new ability to see "Dust in the Distance," perhaps these braves will have an advantage over an enemy who may be approaching.